Most major supermarkets across Queensland have now banned single-use plastic bags and in the aftermath many Australian households are taking the opportunity to start lining our bins with something a little greener. With the best of intentions, many of us use biodegradable plastic bags as liners. Unfortunately, Australian laws about what can be called ‘biodegradable’ are shockingly lax. Many products labelled ‘biodegradable’ or ‘environmentally friendly’ just have chemicals added that ensure the bags break down into micro-plastics, but they still don’t biodegrade completely and still wreak havoc on the environment – (they’re just harder to see!). The solution is finding bags that are bio-based (composed of polymers made from starches like corn or potatoes) which are truly biodegradable, such as Biobag. 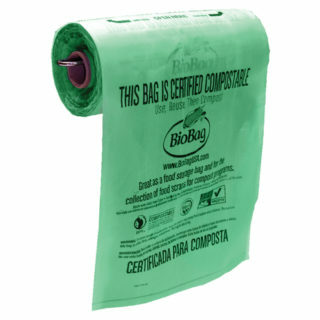 You may struggle to find Biobags at your local supermarket, but they are available online here. It is also worth checking with your local council if they supply biobags (or something similar) for free, as some Queensland councils do.